The first Par 5 on the Course and a chance for a birdie?? The uphill tee shot is key on this dog leg to the right. Long hitters if in position may see the green between the gap in the trees and be tempted to reach in two which is quite a daunting shot to consider. 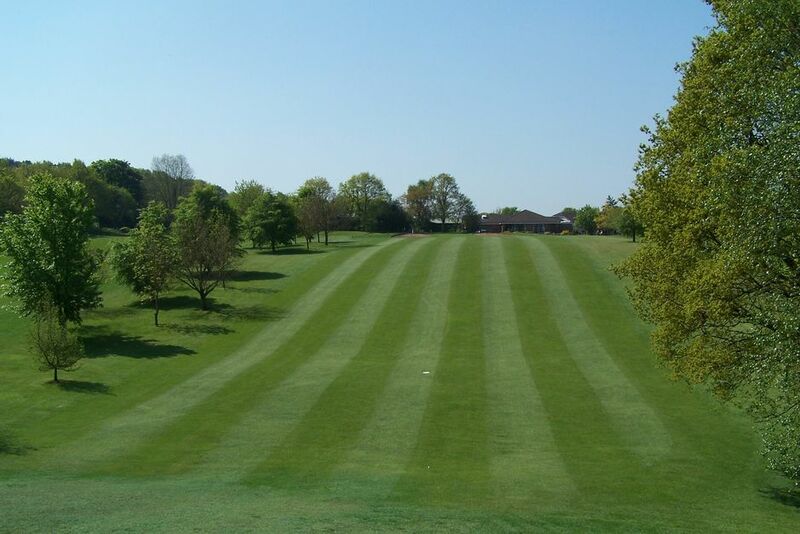 However for mere mortals, play the second shot to an uphill fairway which then leaves an iron to the green. 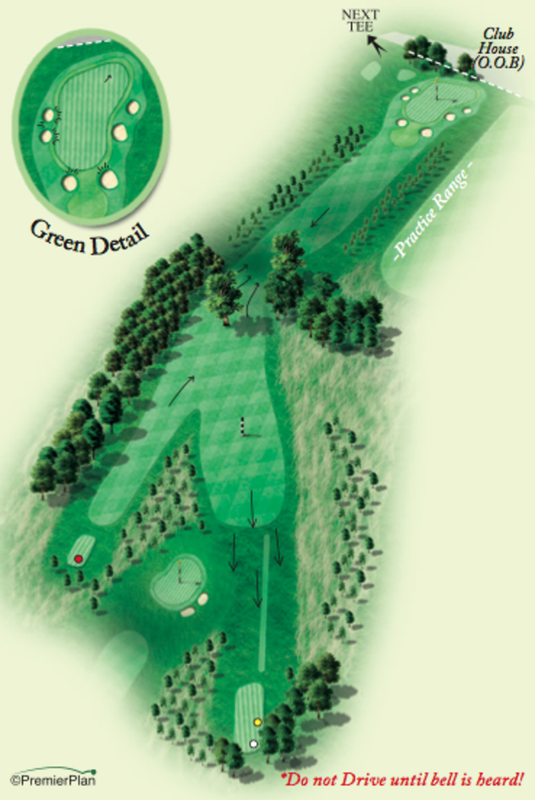 Please note bunkers guard the green at the front and sides of the green. Also a shot hit too long will be out of bounds.